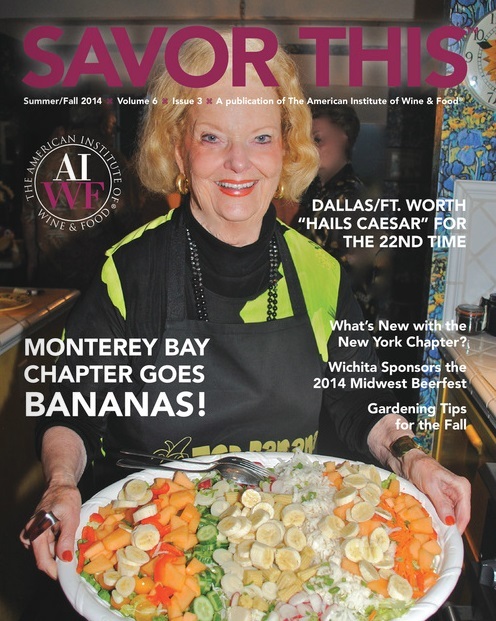 Savor This is the official publication of the AIWF and is published electronically quarterly. The magazine is a beautiful representation of our organization, showcasing our diverse group of individuals from every region, every walk of life, and every ethnic background. Savor This allows us to celebrate the community of the table and gather together to educate others, including children, around the nation. The publication is a wonderful benefit of membership, which is open to all, as our organization offers something for everyone. We promote a strong core of values, offer innovative programs, member benefits, and unique local events. AIWF is the resource for anyone who loves to enjoy great cuisine and the each issue of Savor This is full of features you are sure to love! Click here to view past issues of Savor This.